When you look in the mirror and smile, are you happy with what you see? For millions of people,unsightly stains, cracks, chips, and other imperfections make smiling something to be avoided rather than shared with the world. If you are dissatisfied with the appearance of your smile, know that there may be a way to completely transform your smile in often as little as two visits to your local dentist with porcelain veneers. Porcelain veneers effectively correct common cosmetic flaws by covering them with thin layers of durable dental porcelain. Issues like discoloration, yellowing, cracks, chips, misalignment, and gaps quickly and seamlessly vanish; a gorgeous, flawless smile can be yours in less time than ever before with porcelain veneers. 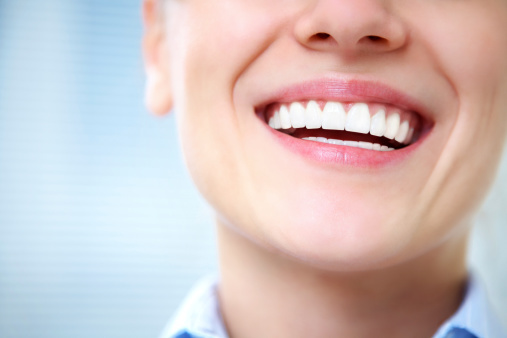 Your veneers are custom crafted from fine, stain-resistant dental ceramic. They fit perfectly over your existing teeth, giving you the perfect smile you want and deserve. Before your porcelain veneers are placed, your dentist will prepare the front surfaces of your natural teeth to accommodate them. This will ensure that your veneers lie flush with your gum line for a completely natural look and feel. You are encouraged to bring along some photos of smiles you like and admire; we will work with you to craft a stunning smile that will turn heads for all of the right reasons. Your dentist is your trusted partner in all things related to oral health and cosmetic enhancement. From teeth whitening, routine examinations , thorough oral hygiene therapy, and gum disease care to customized porcelain veneers that perfect your smile in just two visits, the possibilities are endless with today’s state-of-the-art technology. Contact us today to schedule your consultation and to learn more about the benefits of porcelain veneers.